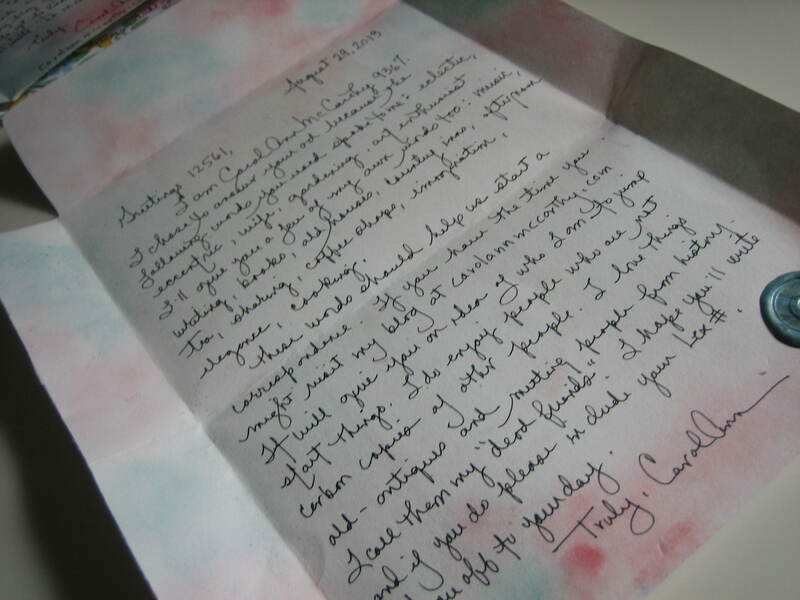 Today my letter is going off to Cindy in Connecticut. (Hi Cindy!) I feel very fortunate to have lots of wonderful pen friends. Are you as fortunate? But I know there are people out there who would love to write letters if only they knew just who would write back to them. 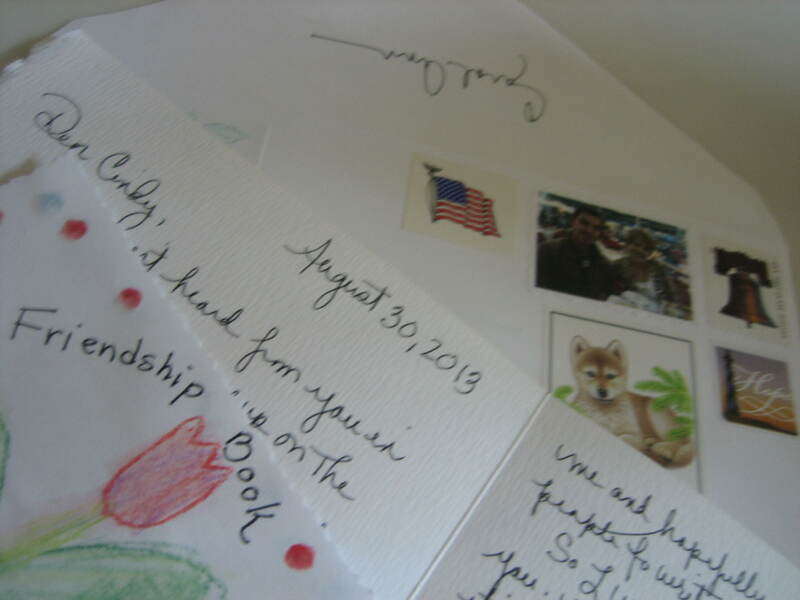 There truly are some circumstances in which we write to folks who never write back to us ( writing our children at college, writing to very old people who love to get letters, but just can’t write them anymore) but the usual approach to letter writing is “give and take”. It takes two to tango, and it takes two, sending letters back and forth, to create the most satisfying correspondence. So, if you don’t happen to have family or friends out of town, or even in town, people who like to write letters, what can you do? You might think you have to be content writing in your journal, but no, there are ways to find interesting pen friends. 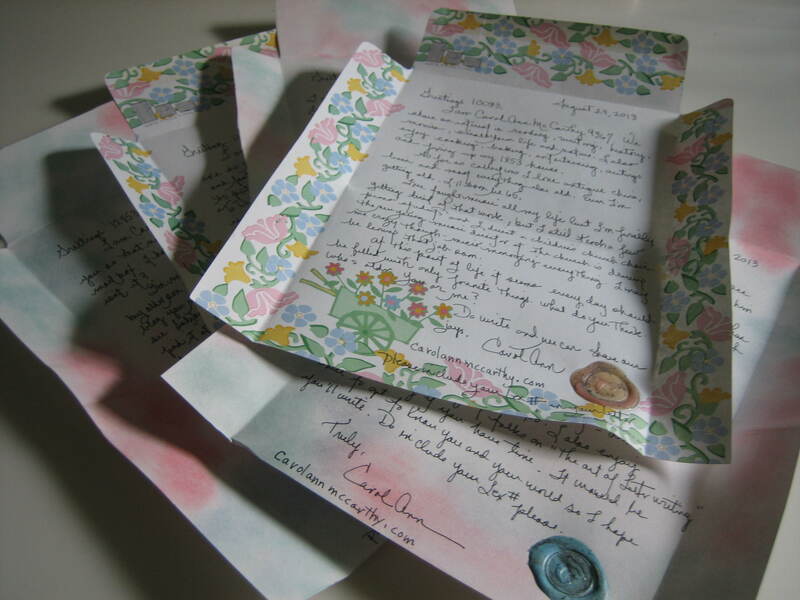 Some methods take time, like friendship books which I’ve told you about in the past, but a very quick and easy way to develop a circle of pen friends is to become a member of The Letter Exchange. This organization, of and for letter writers, will get you rolling in no time. 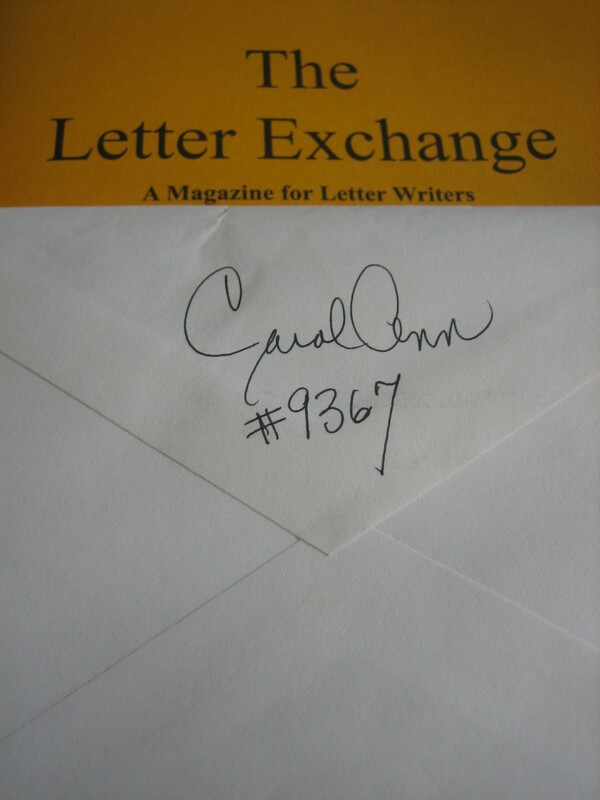 After paying a small fee for membership you’ll receive a magazine filled with articles on letter writing and better still, you’ll find ads from letter writers who would love to have you write to them. There’s a little mystery to the program too, mystery which makes finding pen friends in The Letter Exchange even more fun. Each member of The Letter Exchange is given a number. I am 9367. Ads listed do not tell you the name and address of the person seeking a correspondent, only their Lex number. When I receive my quarterly magazine I delight in reading all the ads and circling the ones I plan to answer. At regular intervals I’ll write five short “hello” letters in response to these ads. I call these letters my “SEARCH LETTERS”. As I write them I feel as Queen Isabella must have felt when she prepared to send out ships in search of treasure. I’m in search of treasure too. The treasure I’m seeking is friendship in the form of pen friends. And just like Queen Isabella sometimes my efforts don’t pay off, but other times – Oh Boy! When you are in the habit of sending out “search letters” your trip to the mail box each day will be very exciting for you’ll never know what will be waiting for you there. You’ll be expecting a lot more than junk mail – AND YOU”LL BE GETTING A LOT MORE THAN JUNK MAIL TOO! Letters from the most interesting people will be showing up to make your acquaintance. Lately I’ve been writing “search letters” on one sheet of paper that folds and becomes its own envelope. I found this nifty stationary in a shop somewhere, but as usually happens, I decided there wouldn’t be much to copying the idea making my own self-sealing letter paper. I kept the art simple this time using only colored chalk along the edges of the paper, but next time who knows what artful design I’ll create. Simple is fine though, for the main objective of a “search letter” is simply to introduce yourself to a potential letter friend. It only takes an hour or so to compose five “search letters”. Of course you can write much longer letters if you like, but sometimes a first meeting is best kept short in case personalities don’t click – and they don’t always click. Do you love everyone you meet at work, at school, at the coffee shop? But you will click with lots of letter writers – after all, you have one very big thing in common. You both love to write letters! 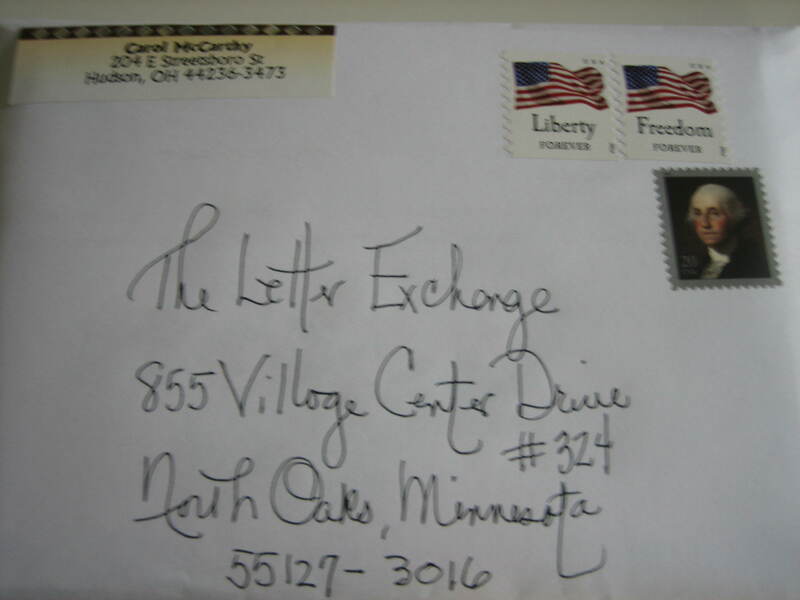 Once your “search letters” are composed each one is addressed by placing the Lex number belonging to the ad being answered, along with a postage stamp, on the front of the envelope, or in this case, on the front of my self-sealing letter paper. Each of these “search letters” is like an explorer that I’m sending out in search of treasure, the treasure of friendship in the form of pen friends. 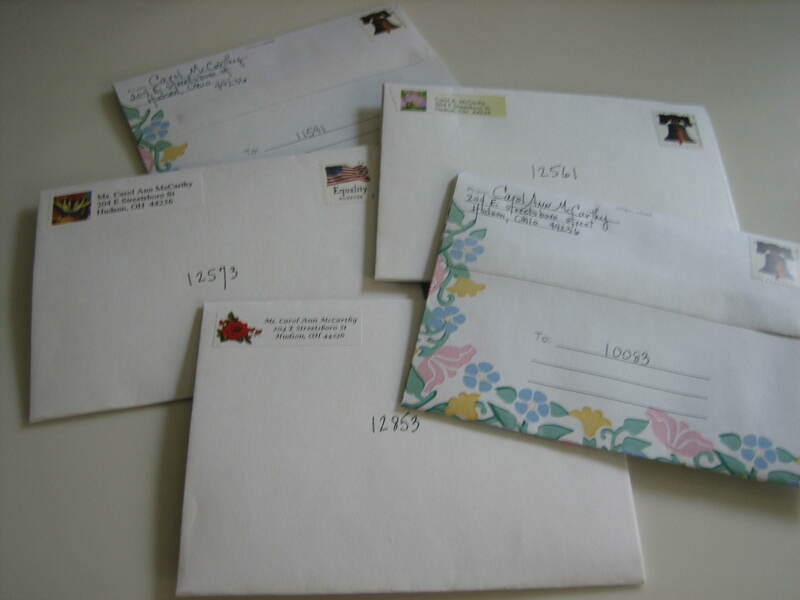 “Search letters” are mailed off to The Letter Exchange and there they will be forwarded to the appropriate party. 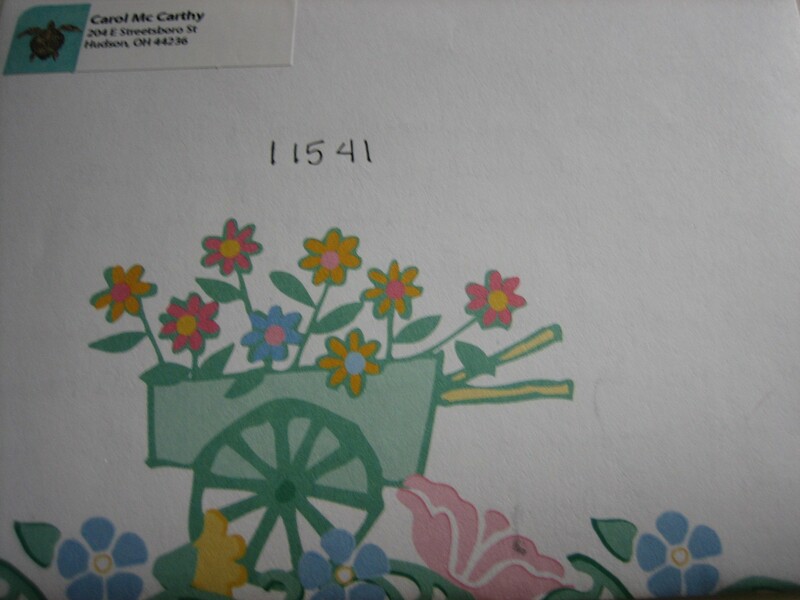 Then, with the help of The Letter Exchange, like Queen Isabella waiting for her ships to return, I wait for the arrival of letters, letters from five new pen friends. Every day there is delicious expectation as I walk out to my mail box. Regular correspondents will be popping in as usual, but what new and fascinating person will appear? You make it sound so exciting!! However, it just amazes me how you find time to keep up with the number of pen friends that you must have. I just must be a poor time manager because I feel like I don’t do justice to writing to the number of pen pals I have. Gwen, How many pen friends DO you have? 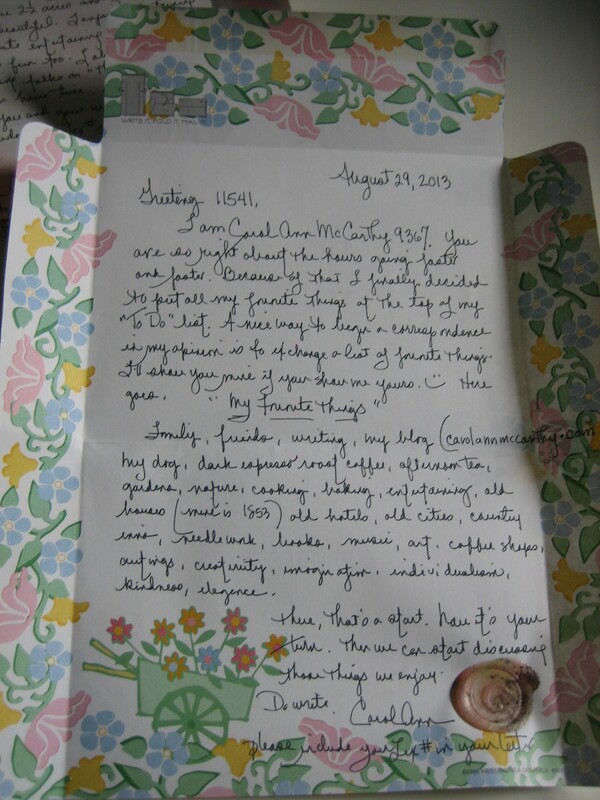 Have you set a regular time for your letter writing each day or each week? As you know I write one letter each morning with my first cup of coffee. Whenever I create a ritual for an activity that activity happens automatically like clockwork, and though not everything I like to do gets this special treatment, the things most important to me do. Works for me..